Time for another jkOTR Mobile Media Edition! Show #33 takes a look at running Dragon NaturallySpeaking 9, the best speech recognition program on the planet, on a MacBook Pro. No, there is no Mac version of DNS but I installed the Windows Vista version on the MBP under Parallels Desktop. In this short video I show you basic system command and control, and of course dictation and correction. Please pardon the slightly squished up video, I found out too late that although iMovie HD is supposed to handle 16:9 widescreen video it still squished it up square. The jkOnTheRun Mobile Media Edition is back with a look at the great line of WaterField gadget bags from sfbags.com. In this video you'll see the small SleeveCase for the Fujitsu P1610, the large SleeveCase for the 17" MacBook Pro, and the cool looking Cozmo laptop bag that is svelte yet can carry all of the above with ease. You'll also see some add-ons like the suspension strap, the piggyback bag and the Cable Guy bag. 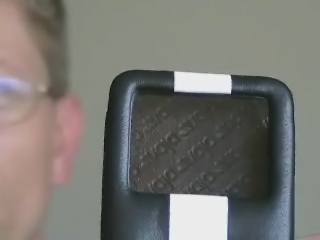 Watch carefully and you won't miss the teaser for an upcoming video review of a cool device! The Microsoft Origami Project team was generous enough to provide us the forthcoming Origami Expereience software and we give you a quick tour. 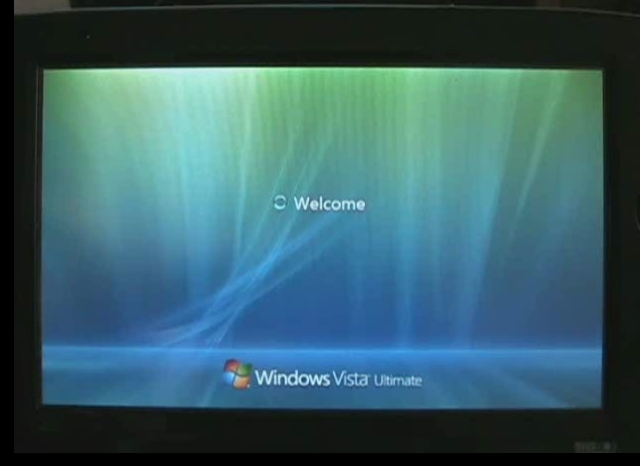 Unlike the original Origami interface, I think I'll be using this new one on my UMPC running Vista. You'll see how everything is accessible and usable without a stylus and the performance is nothing short of astounding! 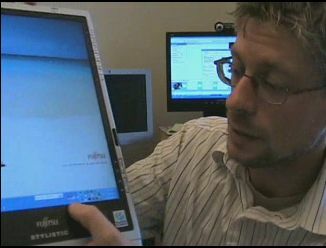 Watch the brief video and then watch for the Origami Experience software to become available around Vista launch time! Lighting was a tad poor in my office studio, so the brightness isn't what we'd normally like to provide; I apologize. Due to a lack of sunlight, I had to do a separate demo of the view anywhere screen on a different day; you'll see this in the final two minutes of the video. I nominate this segment as the "worst demo of a great screen. ever." We have a QVGA version of the video up on our YouTube channel if you want a lower-resolution version streamed. 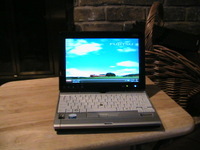 A special thanks goes out to Allegiance Technology Partners for loaning us the Fujitsu Stylistic ST 5112 Tablet PC! 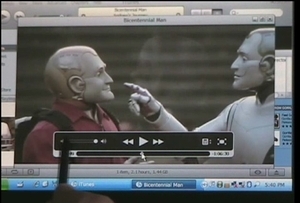 For the bandwidth-conscious, we have a low-res version right here (WMV format, 320 x 240, 94 MB). Hold your horses! Before you get all excited because you missed show #27 just hold on and listen a minute. It seems that running off the production crew in show #25 was a very bad move on my part and although this would be show #27 it's labeled all over as show #28. It really is show #27 so you haven't missed a thing, just pretend the last show was #27 and everything will be all right. 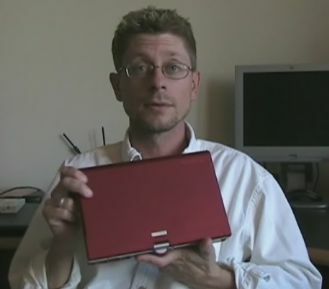 This show is a video overview of the new Fujitsu P1610 Tablet PC and I think once you've seen this baby in action you'll see why I like it so much. It's a mini-Tablet PC with an 8.9" touchscreen displaying 1280 x 768 and in the video you'll see why it provides a complete Tablet PC experience without an active digitizer. You'll also see the first look at the port replicator and extended battery that provides 6 hours of ink time. Enjoy the show and leave us some feedback about the Fujitsu. Special thanks to Allegiance Technology Partners for supplying me with the review unit used in this video. Visit their web site and see all the Tablety goodness they offer! NEW! This video is now available in MP4 format which means it can be downloaded in iTunes! Hopefully we'll be able to release all videos going forward in MP4 so those of you using iTunes as your podcatcher of choice will be able to get them just like all your other podcasts. Another service from your friendly jkOnTheRun staff (meaning Kevin and I). For our QVGA little-friends, we have a 320 x 240 format right here (WMV format, 320 x 240, 95 MB). Touchscreen vectoring demonstration; how well does the V33i deal with palm rejection? Stay tuned after the credits for a special "short feature". Please note: This video is in WMV format so it will not show up nor play in iTunes. You will have to use another podcatcher or download the show direct to view. The Samsung Q1 SSD is the Korean model of the Q1 that has no hard drive. It has a blazing fast 32 GB solid state disk instead and iis the device I use every day in my work. Well, you can see for yourself in this video shot in living color. I try to show the Q1, lovingly named Flash, going through the paces I normally use it for daily and I hope it gives a little insight into how I can use such a small device with a little screen to be really productive. Enjoy the show and let us know what you think. UPDATE: For our QVGA little-friends, we have a 320 x 240 version here. 106 MB. Oops! 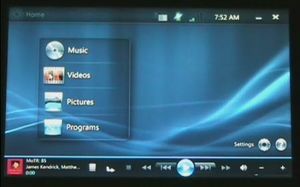 I almost forgot the Screen Rotation and Screen Resolution switcher! People have to realize we're taking evolutionary steps towards downloadable high-def content; this was the next evolutionary step due to bandwidth and infancy of the high-def display market which is just now coming of age. I'd prefer to watch a downloaded VGA movie on a UMPC as opposed to carrying an optical drive and packaged content. Vaja Cases are definitely upper tier cases as these three cases start at $55, $55 and $65 respectively. Are they worth the money? You'll have to watch the video to see if they are and to hear my thoughts!